Given that this blog is all about children’s parties, I thought that it was about time to write a blog post about something essential to the party: the birthday cake, of course! 1. Tazzy Cakes – this husband and wife dynamic duo is my go-to, when-everything-else-fails baker. 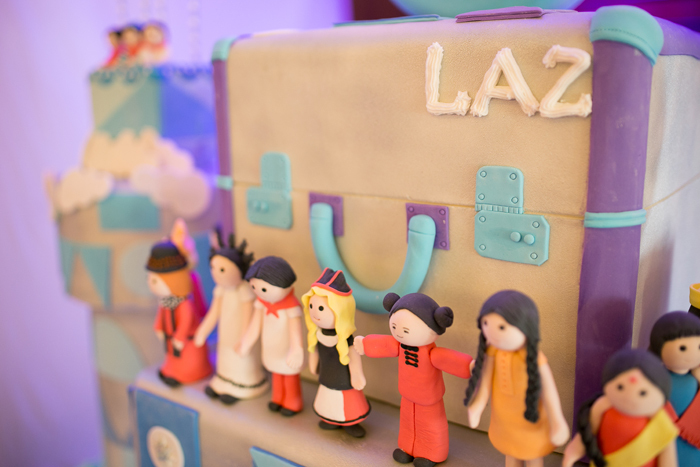 What I love about Tazzy Cakes is their extreme attention to detail and the awesome designs that they come up with. What’s even more attractive for me is their reasonable pricing, which when compared to the level of service they offer is totally worth it. Just take a look at their works below! Morgan’s beautiful butterfly cake. More photos here. Tip: book them quickly, as their calendar tends to fill up pretty fast! 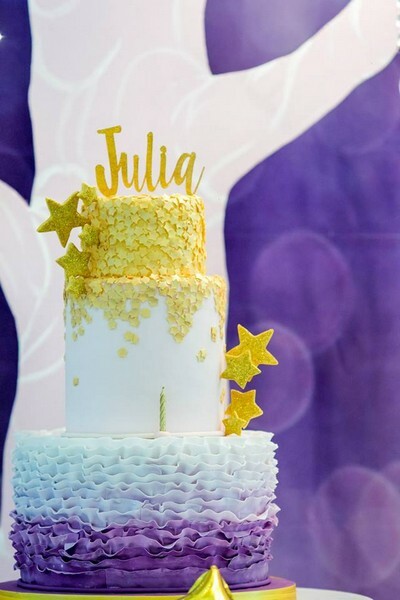 Julia’s Starry Cake. More details and pictures here. Alexa’s Enchanting Floral Cake. More photos here by Den Llanos Dee. 3. 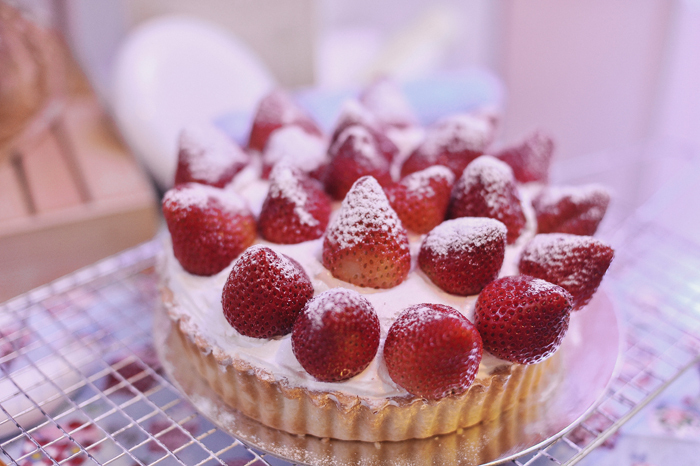 Cottontail Cake Studio – this studio is a collection of well crafted pastries designed to pique your imagination! If you are looking for a cake that is sculpted and character-driven, this is the supplier for you. Pricing is a little bit on the high side, though. Also, be sure to take a look at their tastefully maintained Cottontail Instagram Page. I stalk it regularly for its wonderfully edited collection of pictures! 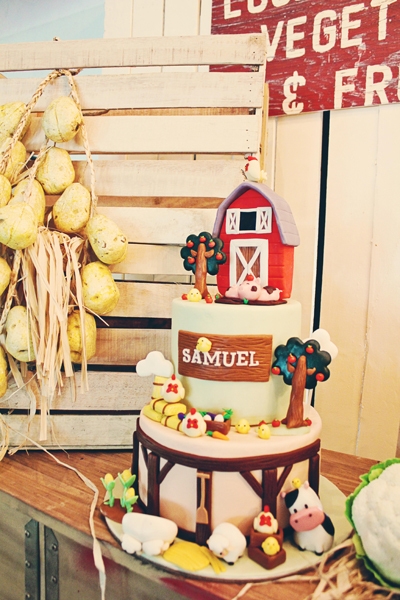 Sam’s Cute Barnyard Cake. More details here. 4. Emily of Sugarbox Cakes – Emily was personally my cake supplier when I got married, and I remember her cake vividly simply because it was so HUGE and and DETAILED (the cake, when placed on a table, stood probably as high as 7-8 feet!). It is awesome news for mothers all throughout that she does cakes for children’s parties, too! What is great is her works are generously detailed and even better, reasonably priced. 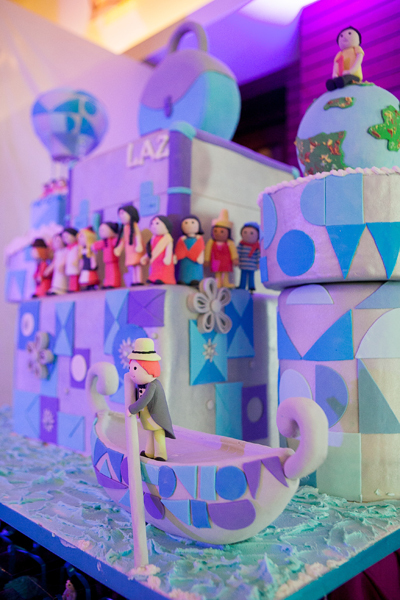 Laz’s It’s A Small World Cake. More details here. 5. The Bunny Baker – this baker is a real veteran, having their own cafe and cake studio off at Hemady Square along E. Rodriguez St. in Quezon City. 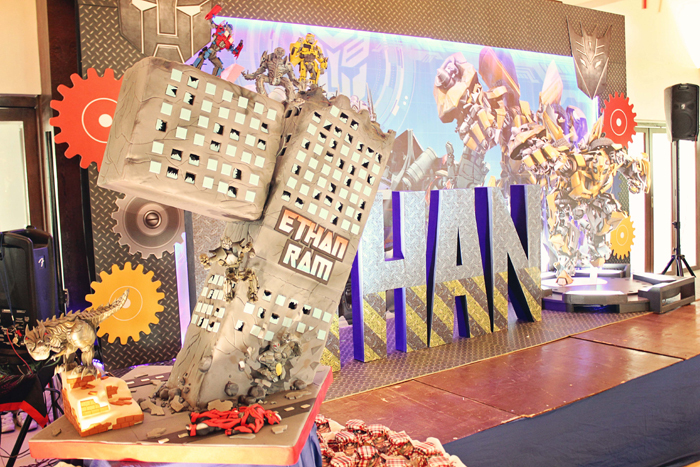 Not only are they well equipped to create sculptures of any kind, they also have serious chops to take on out-of-this-world designs and mega sculptures, like this Transformers cake from Ethan’s party! Ethan Ram’s Mega-Transformers Cake! More details here. 6. Simply Paris – the top 5 suppliers above all specialize in sculpted fondant cakes. In fact, this type of cake has always been the default choice for children’s parties, and I totally agree with them, because fondants allow you to exercise full use of your creativity to sculpt your cake based on the theme of your party. But what if you are the type who likes a simpler, more minimalist type of cake? 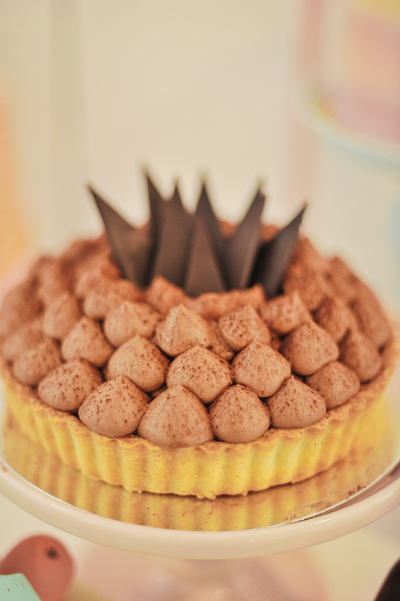 This is what Cheryl, Morgan’s mom, opted for in her baking themed party, and is what Simply Paris is known for: tastefully crafted pastries perfect for those with a refined palate. Morgan’s collection of cakes for her Baking Banquet. More pictures here! I hope this post has been useful to you in your research. 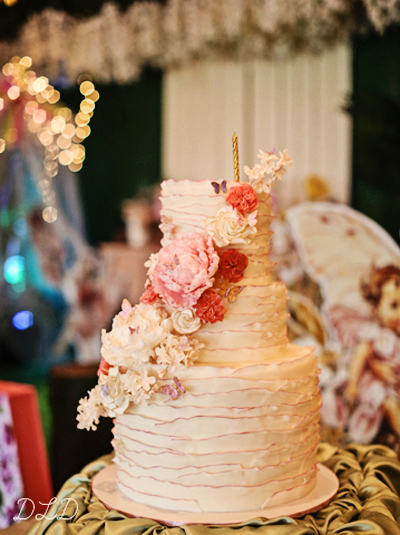 Do you know other cake suppliers that you think would belong to this list? Send me a message at my email: michelle@michellelao.com! I love Tazzy Cakes — they’re also my go-to baker. They designed an awesome 3-tier nautical cake for my son’s 1st birthday, and a Beatles-inspired, yellow submarine rainbow cake for his 2nd. Excited to see their design for my son’s 3rd in a few months. The best thing about Tazzy Cakes is that their cakes look good and taste even better. I chose Sugarplum Pastries for my son’s birthday, and if I were to rate them from 1 to 5, I’d give them a 2. Client servicing, responsiveness, even service recovery, are disappointing. I should have opted for a not-so-popular baker, yet, nicer, more competent, and more professional to deal with. Well, the product speaks for itself. Cottontail Studio might be expensive but their work is absolutely gorgeous and perfect!